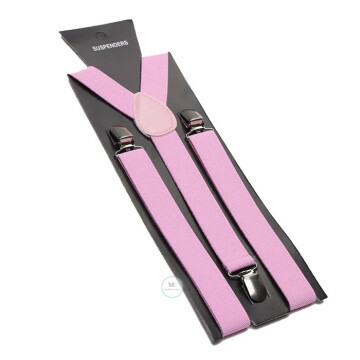 The pink suspenders gives off a brilliant shine that perfectly complements the formal setting. For a dapper look, pair it with our range of Bow ties / Ties / Pocket squares! 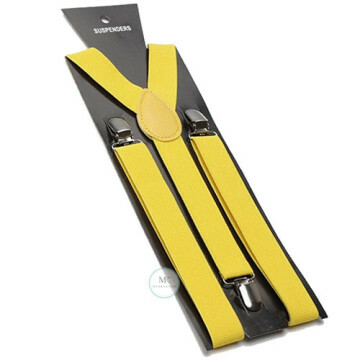 Brighten up your ensembles with this vibrant shade of yellow suspender! Don't be shy to add an extra Bow ties / Ties / Pocket squares to rock on the fun look! 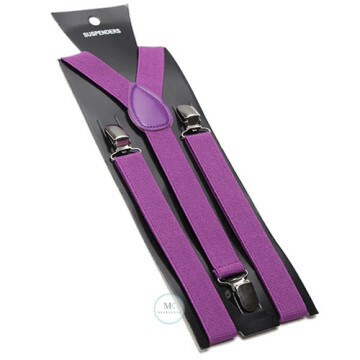 This purple suspender is an ace addition to all of your ensembles. The striking and rich tone of this red will catch the eyes of your onlooking admirers. Put together a dapper look by pairing this suspender with our range of Bow ties / Ties / Pocket squares! Fuchsia Pink suspenders is a perfect choice for festive occasion to breathes new lift into old menswear. Also, pair it with our range of Bow ties / Ties / Pocket squares! 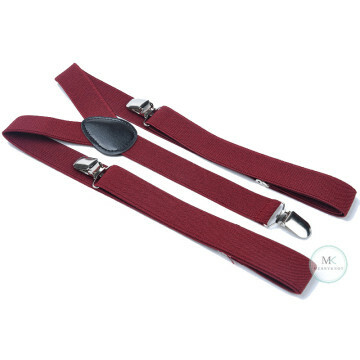 Add some zest to your ensemble with this wine red suspender.We love to see it pair it with our range of Bow ties / Ties / Pocket squares! Classic mens bow tie in a deep burgundy-red color shade. This bow tie gives off a brilliant shine - simply the perfect accessory for any formal occasion. This bow tie is a great alternative to the classic black bow tie worn on black tie events. 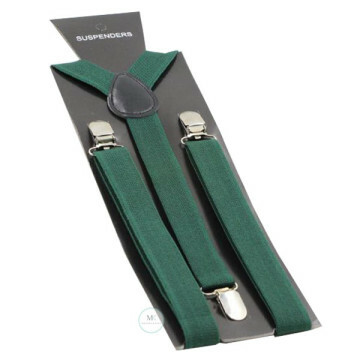 Add some color to your look with this Forest green suspender. Also, pair it with our range of Bow ties / Ties / Pocket squares! 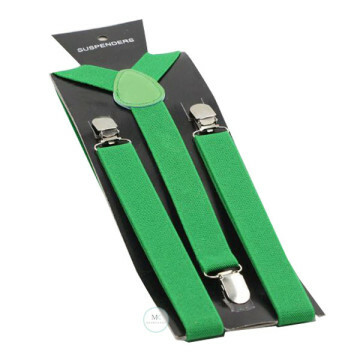 Add some color to your look with this green suspender. Also, pair it with our range of Bow ties / Ties / Pocket squares! 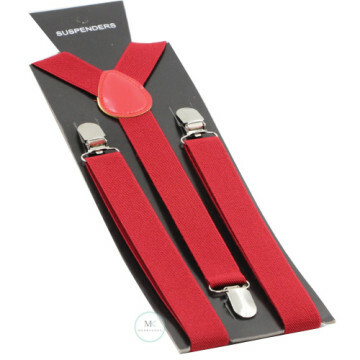 This red suspender is a ultra fashionable accessory to be worn to both formal and fun events. The striking and rich tone of this red will catch the eyes of your onlooking admirers. Also, pair it with our range of Bow ties / Ties / Pocket squares! 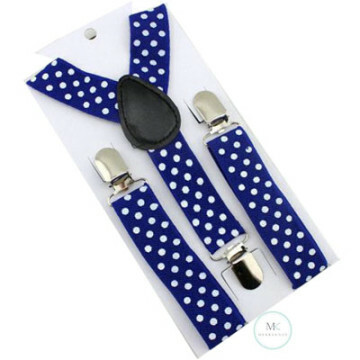 Add some fun to your little boy outfit with our suspenders, this ultra fashionable accessory is a dapper piece to have for occasions. Also, pair it with our range of bow ties! 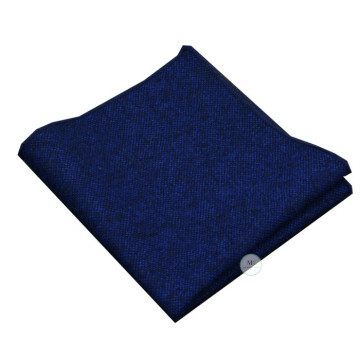 Pamper yourself with our British Pocket squares this season. Available in 13 shades, it is a hands on accessory that dresses up anything. A pocket square can complete any formal outfit, and this herringbone designed will make any outfit pop and stand out from all other simple looks. Make a statement at your next party with this dapper bird print pocket square. 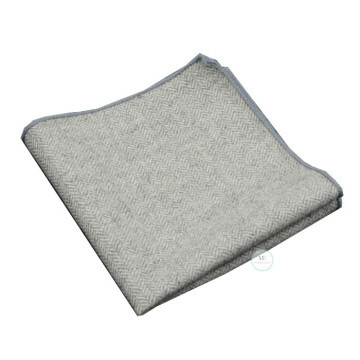 This pocket square is the ultimate accessory for your outfit, and a sign of stylish and sophistication.